Atlanta, the Deep South, in 1948. The war changed a lot of things, but the immediate postwar world, in the U.S., was in many ways a turning back of the clock. Women in the workplace, like black guys in uniform, were wartime adjustments. The unions had been bottled up, part of the war effort, and there was no reason to let a bunch of Jews and Reds wave the Hammer-and-Sickle. Jim Crow was both custom and law, and things were gonna be the way they were before, when people knew their place. And if they forgot themselves, there were the night-riders, the Klan. Not that good people subscribe to violence, but when every Christian value is threatened with contamination, where can you turn? All right. The obvious irony, first, that we're talking about white values. And secondly, was it in fact that bad, in the South, for black people? Well, yes. All you have to do is ask. It's a time in living memory. Equally obviously, not just in the South, either. But in a town like Atlanta, it was institutional. 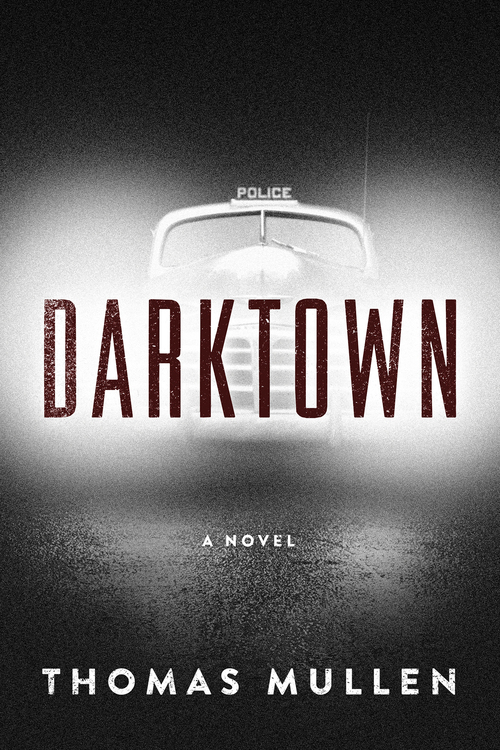 This is the world of Thomas Mullen's novels Darktown and Lightning Men, a world of tensions and temperament, accommodations and anxiety. A place of comforting convention and uncomfortable energies. Some of you probably know I have a weakness for this time period, the late 1940's, and I've written a series of noir stories that take place back then. The stories involve the people and events of the time and place, and usually touch on some cultural or political ferment, the Red Scare, the mob takeover of the waterfront, running guns to Ireland or Palestine. 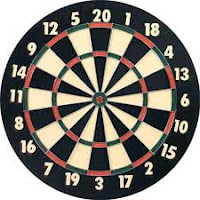 One in particular, "Slipknot," takes a sidelong glance at race, in the context of fixing the book on a high-stakes pool game. The principals are two historical figures, rival gangsters Owney Madden, owner of the Cotton Club, and Bumpy Johnson, boss of the Harlem numbers. I have no idea whether these guys actually butted heads, back in the day, but it felt right to put them at odds. It was a way of sharpening the racial edge, to make it personal, an open grievance. And neither of them what you might call black-and-white, but equal parts charm and menace. This is true of Thomas Mullen's books. 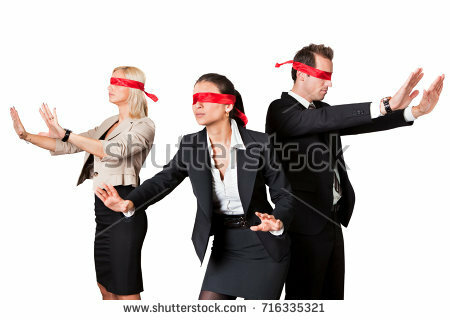 They're about the color bar, in large degree, but one thing they're not is black-and-white. There are good people, and bad, and mostly in between, just like it is. 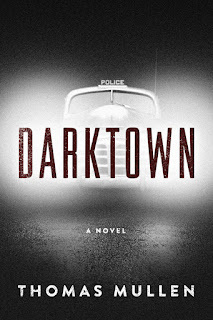 Darktown is maybe the more traditional as a thriller, with its echoes of True Confessions, and Lightning Men less about a single criminal act than it is about a climate of violence, but both books are effectively novels of manners. You might be put in mind of Lehane or Walter Mosley, but I think the presiding godfather of the books is Chester Himes. Mullen is the more supple writer by far - which isn't to disrespect Himes, but let's be honest, he's working the same groove as Jim Thompson, it's lurid and it's unapologetically pulp - and Mullen's characters are round, not flat (E.M. Forster's usage). All the same, there's something about the weight these people carry, their mileage, their moral and physical exhaustion. This is material Himes took ownership of, and Mullen inhabits it like the weather, We all get wet in the same rain. Don't mistake me. These books aren't dour. We're not talking Theodore Dreiser. Mullen's writing is lively and exact. He's sometimes very funny. He's got balance, he's light on his feet. And he does a nice thing with voice. 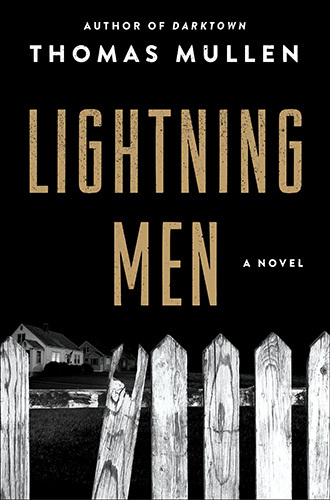 The books are told with multiple POV, shifting between five or six major characters, black and white, male and female. You always know who it is, because the narrative voice rings true. The situation is lived-in. You feel your way into its physicality, and you can take the emotional temperature. You don't hang up on it, thinking, that's not a genuine black person speaking, or that's not white. I realize I've been talking about theme, for the most part, and not giving you the flavor. Here's a cop in a bar. He lifted the glass, nothing but three sad memories of larger ice cubes. "I'll take another." When Feckless returned the full glass, it rested atop an envelope. Smith looked up at Feck, who peeled the triangle away and revealed cash stuffed inside. 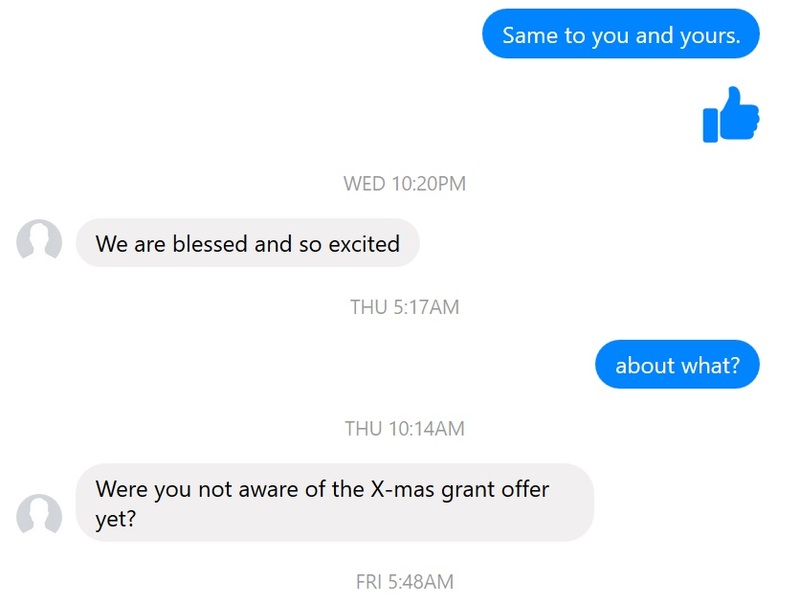 That there was a lot of money, Smith saw. "I don't do that," he said, looking Feck in the eye. "Pass it on to Malcolm, then. He could use it." "He'd be very grateful. But you can give it to him yourself." Smith stood and walked away, leaving the full glass behind him as well, and wondering what lay at the end of the road he hadn't chosen. Not that he isn't tempted. That's the underlying tension, the spine. What lies at the end of the road you don't take? What lies at the end of the road you do? Personal character - moral character, integrity - is about what you do when the going gets tough, not when it's easy, how you behave when you don't want to disappoint yourself. It's self-respect. It's not Jiminy Cricket, or concern for appearances. This is the engine that drives everyone in the books, whether toward good ends or bad. If you've got nothing to live with but your own shame, you've got nothing left to fight for. I have every rejection I’ve ever received. When I began writing in the mid-1970s, conventional wisdom—whether true or not—was that a collection of rejection slips would prove beneficial were the IRS ever to audit my taxes. The very existence of the rejection slips proved I was writing with the intent to earn money and not as a hobby, even though I was operating at a loss. These days my taxable net profit on freelancing proves the point far better than my collection of rejection slips, but I can’t stop myself from collecting them. Though today’s rejections are nowhere near as physically varied as the ones I once received through the mail, I continue to print out emailed rejections and file them with all the other rejection slips, which now fill most of a filing cabinet drawer. I received my first rejection slip from Fantasy & Science Fiction in September 1974, just as I began my senior year of high school, and I received my first personalized rejection—a quarter-page typewritten note with a handwritten addendum—from the editor of Multitude in May 1976, less than a year after high school graduation. I had progressed from form rejection to personalized rejection in only seven submissions. My goal was to collect acceptances, not rejections, so I persevered: A single rejection the first year, four the second, 34 the third, and a whopping 74 the fourth. 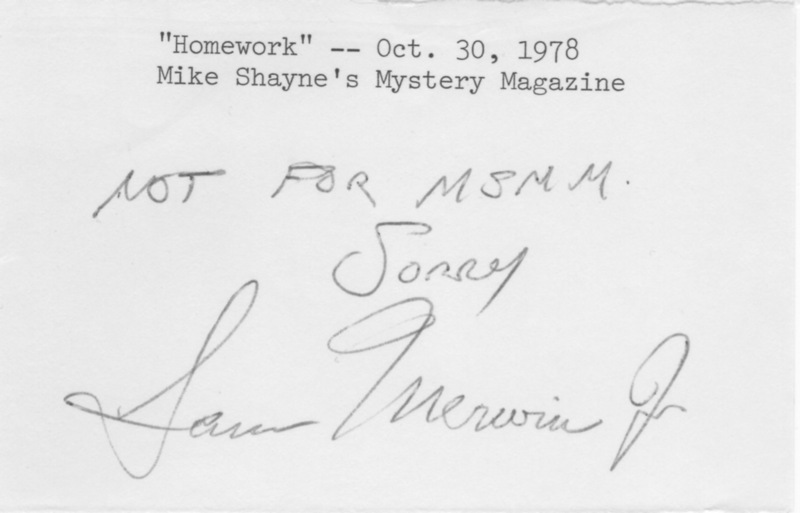 They came in all sizes and shapes, from scraps of paper containing a simple scrawled note (Sam Merwin, Jr., rejecting a story sent to Mike Shayne Mystery Magazine) to four-color full-page form rejection letters that cost more to print than I earned from many of my earliest sales. 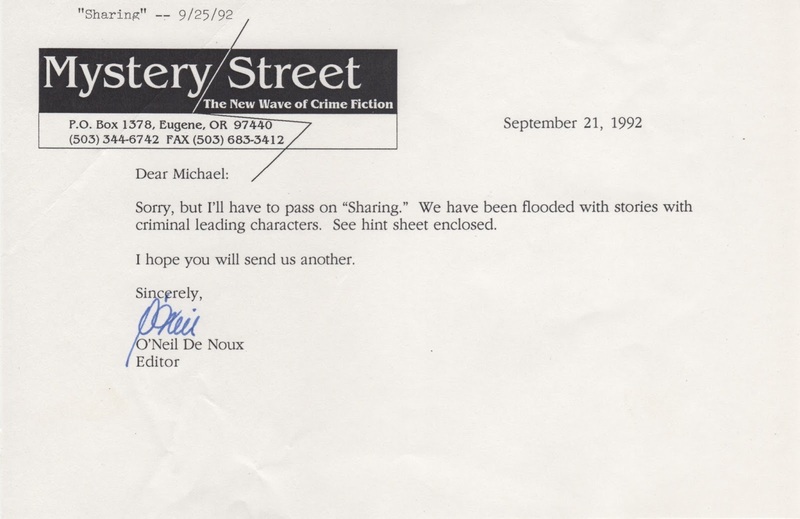 And one rejection, from Mystery Street, may have been my first encounter with fellow SleuthSayer O’Neil De Noux! I’m unsure if a multitude of rejections indicates when I’m having a good year or a bad year, but I received 204 rejections in 1991 (I received 84 acceptances that year). On the flip side, I received only three in 1989 (I received four acceptances that year). More recently, acceptances and rejections are near equilibrium: 39 rejections vs. 37 acceptances in 2017; 35 rejections vs. 45 acceptances in 2016; and 31 rejections vs. 42 acceptances in 2015. Were it not for the lessons I learned from those long, detailed rejection letters, I may have become one of the many would-be writers whose shattered egos and unpublishable manuscripts litter the literary highway. Lack of ability quashed my music career and my artwork never gained traction, so I focused my creative energy on writing and, over time, began to accumulate acceptances: 1,584 of them (more than 1,200 are for short stories). That’s one acceptance for every 1.61 rejections and, yes, I’ve kept every acceptance letter, postcard, note, and email. Those I file with hardcopies of my manuscripts and, when I get them, with copies of the actual publications. I had a hot streak a few years back, when almost everything I wrote sold on first submission. My ego expanded exponentially, but then I realized something I should have realized long before that: If everything is selling, I’m not challenging myself; I’m taking the easy path to publication. 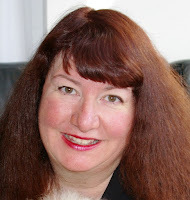 So, I began writing stories that stretched my abilities, either by working in unfamiliar genres or by submitting to higher-paying and more prestigious markets. The acceptance-to-rejection ratio shifted, and not in my favor. I placed a few stories, and just in time because two of my sure-sale markets ceased publication and several anthology editors with whom I worked stopped editing anthologies. So, as I continue stretching my abilities and my stories continue facing the submission gauntlet, my rejection collection grows, taking ever more space in my filing cabinet. Luckily, so does my acceptance collection. 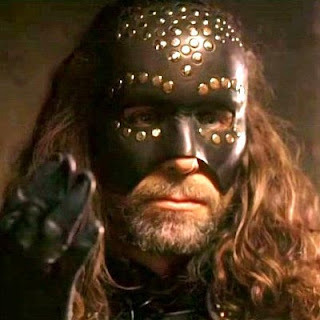 Noting that bad guys can be more interesting than good guys is neither new nor profound. Why else would Dantean classics courses consistently teach Inferno rather than Paradiso? Even as we aspire to the light of goodness and grace, often darkness muddies our thoughts and actions. Our limbs stretch toward the heavens but our roots point toward hell. So it is with story-telling. Bad guys make or break a tale. Take the James Bond series. 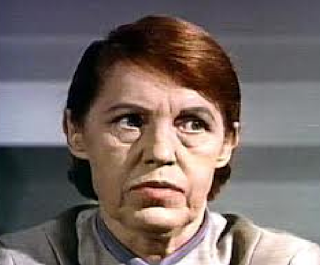 The best films feature the evilest of the nefarious. Huge and hulking may frighten, but sheer terror runs deeper. Bad guys must possess the potential to overpower the good folks. Take the battle of David and Goliath. 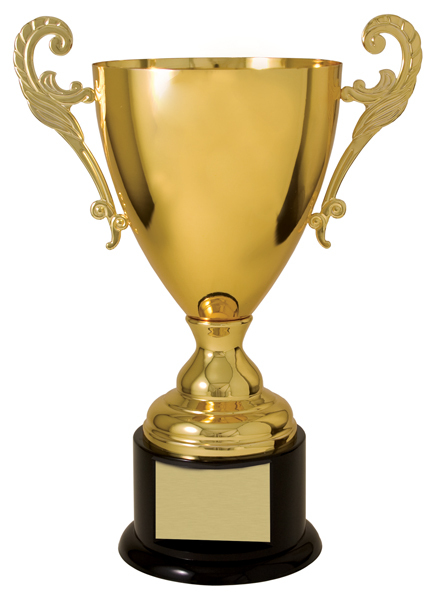 We love it when an underdog wins. 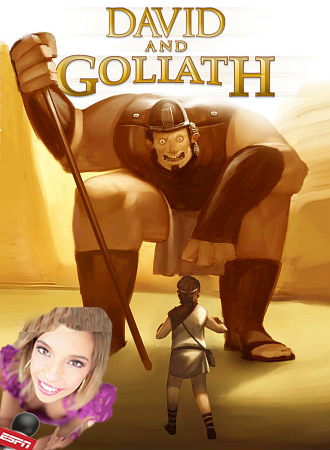 If Goliath had wiped out David, no one would have recorded the event. Take the Fantastic Four movies. It’s hardly fair to pit four against one, no matter how fearsome that one bad guy is. It’s just not cricket. Michael Chiklis, yeah, he was pretty good in the original version, but it’s not enough to maintain attention. You’d have thought Marvel would have learnt its lesson in 2005, but ten years later, they made the same mistakes… only worse. I came across an obscure adventure mystery movie making the rounds of internet television video distributors, presently on FilmRise and CoolFlix. 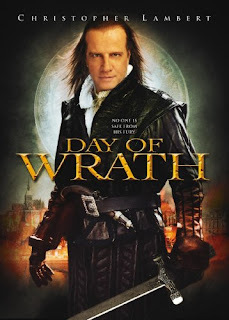 Titled Day of Wrath, it appeared difficult to track down until I discovered it also went by the name Game of Swords. IMDB awarded Game of Swords an unimpressive 5.6/10, whilst Rotten Tomatoes stamped Day of Wrath a hostile audience rating of 24%. Fortunately I knew nothing of this before watching. “Fortunately” I say because overall I liked the plot, setting, and cast except for one key character, which I’ll return to. Set in 1542 Spain during the Inquisition, the story follows a sheriff as he investigates the murders of nobles. The deeper he digs, the more he puts his and his family’s lives at risk, until he suspects some connection between his family and the conspiracy he’s chipping away at. He’s dimensional, more than meets the eye. The Hungarian actor projects the same chill don’t-ƒ-with-the-psychopath as Lee Van Cleef and is maybe just as underrated. 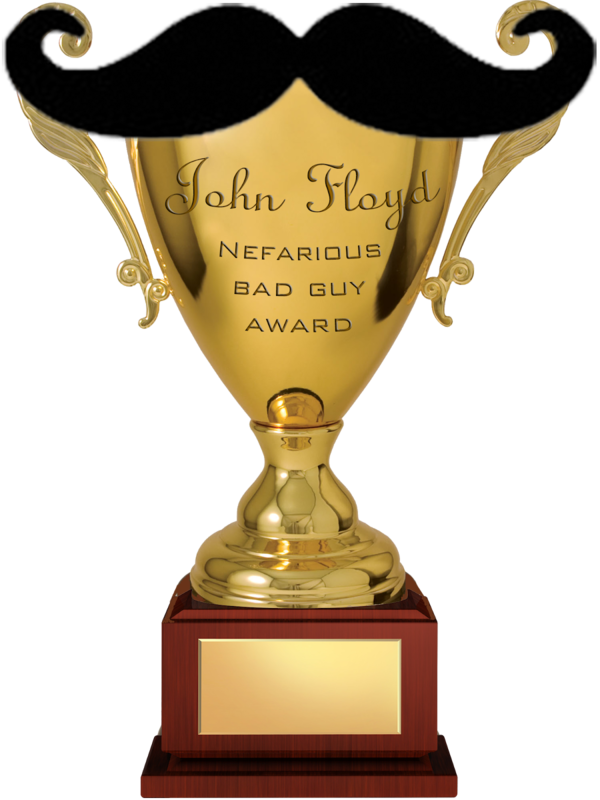 He won’t be making any more movies– he died in 2015– but in this one performance, I’d nominated him for the John Floyd Best Bad Guys Ever Award. If the plot is great and most of the cast is superlative, why the low ratings? My conclusion traces the problem to the film’s star, a hero about as vibrant as Valium, looking like Fabio on a lank-hair day. Who? American actor Christopher Lambert. He’s appeared in a string of US and European movies since 1980. 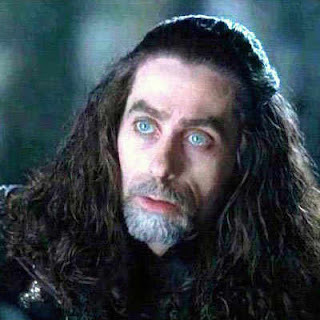 He often assumes action röles such as Tarzan, Beowulf, and Connor MacLeod in Highlander. In this film, he plods through the part as if we interrupted his nap time. The man’s performance subsumes sole responsibility for extinguishing one or two stars from critics’ ratings. Setting Lambert aside, I liked this underrated film a lot. Despite verbiage about American World Pictures, the movie is a Hungarian-British enterprise. The Hungarian actors performed well, certainly better than our hero. For a well-plotted story with one of the most interesting bad guys in filmdom, see it. As mentioned earlier, it’s free right now on FilmRise channels like CoolFlix. Definitely worth the price. 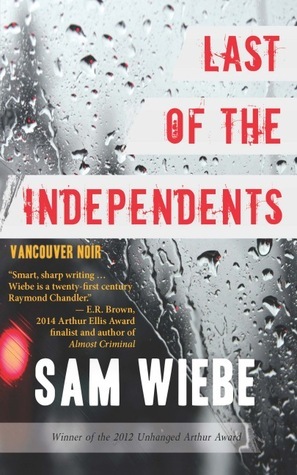 Vancouver Author Sam Wiebe Talks About "Cut You Down"
For today's blog entry it's my pleasure to introduce to you Vancouver crime writer Sam Wiebe. I first met Sam at the 2015 Left Coast Crime conference in Portland, Oregon. We bonded over similar tastes in literature, music and film, and have been pals ever since.. 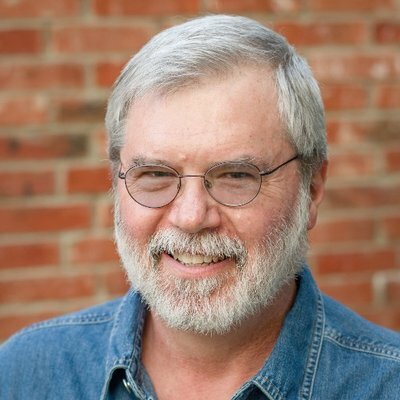 He's coming to the Seattle area next month and appearing in support of the release of a new book entitled Cut You Down. Now, it's always nice to meet a fellow traveler who makes the same sort of "art" that you make. It's even nicer when the art that fellow traveler produces is the sort of first-rate stuff that Sam Wiebe produces. So we're not only friends, I'm also a fan. 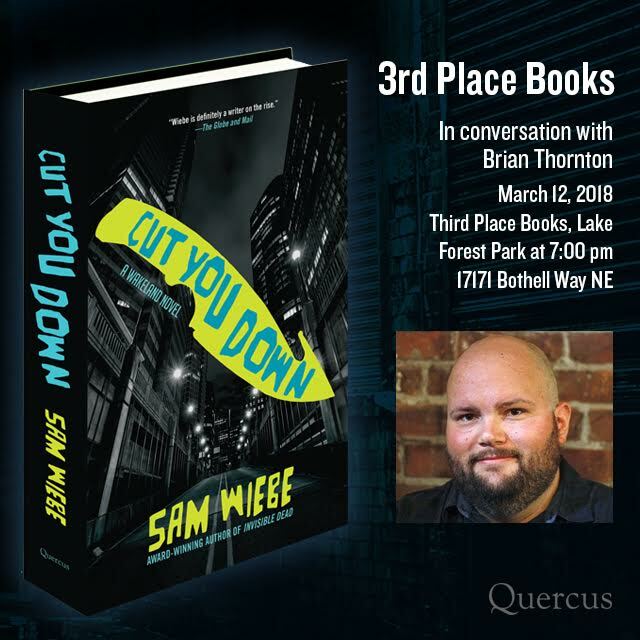 Naturally I thought it would be nice to highlight Sam and his work in a blog post in advance of his appearance here next month. 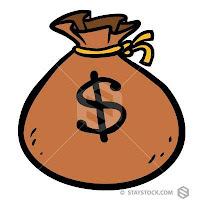 He graciously agreed, and the end result you see below. My questions are in bold face. Sam Wiebe was born in Vancouver. He has held a variety of odd jobs, earned an MA in English, published Last of the Independents (2014) and Invisible Dead (2016). His latest is Cut You Down. 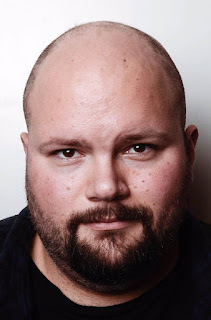 He has published short stories in Thuglit, subTerrain and Spinetingler, in addition to collecting and editing Akashic Books' forthcoming anthology Vancouver Noir. First, loved both your first novel, Last of the Independents, and your first Wakeland novel, Invisible Dead. Can you comment on how you changed up protagonists between your first and second novel, and let our readers in on why you had to do that? Thanks! 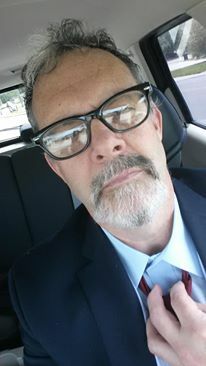 I look at Last of the Independents as my "demo tape." There are things about storytelling I was working out, and not to give away the ending, but that book wraps up Mike's story pretty well. The tone of Invisible Dead was a bit more complex, a bit more grounded in Vancouver history, and I wanted a protagonist who would reflect that. Dave Wakeland is younger than most private eyes--in Cut You Down he's just turned thirty. 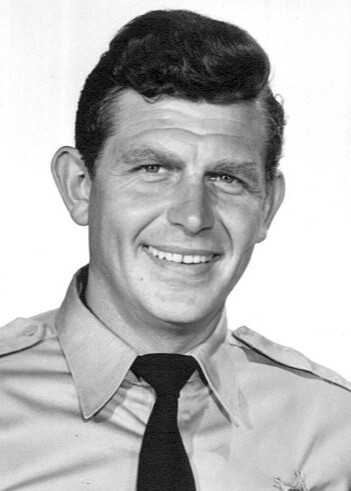 He was briefly a cop, and spent his youth boxing out of Vancouver's Astoria Gym. In some ways he's a throwback to classic PIs like Lew Archer and the Continental Op, but he's also a young guy trying to make sense of a rapidly changing city. I think of him as the flawed but beating heart of Vancouver. 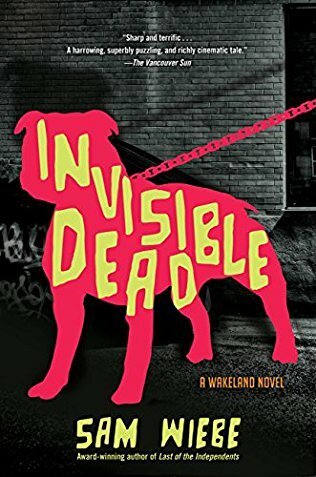 In your second novel, Invisible Dead, you took what could have been just another depressing missing persons (in this instance the "missing person" being a First Nations–that's Native American for those of us reading this in the States–prostitute named Chelsea Loam) story and really worked it into a superb commentary on the human condition. I felt like we all know a Chelsea Loam, or many Chelsea Loams. And yet she's also such a cypher. How and when did this idea hook you? I started writing Invisible Dead during the Oppal Commission hearings into the disappearance of hundreds of murdered and missing women, disproportionately low-income, First Nations, and minorities. It's a fraught topic, and it often centres around the serial killers rather than the systemic forces that make people vulnerable. Those hearings were shaped by a very limited narrative of who got to speak and who was to blame. I knew I wanted to write a book that contradicted that. I focused on the disappearance of one woman, Chelsea Loam, as a way to discuss the culpability we all share for allowing people in society to be rendered invisible. And it's a theme you have clearly continued to work with in your new book, Cut You Down. So tell us about this new novel of yours. 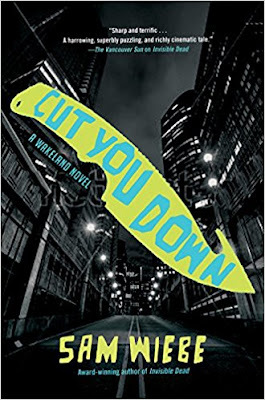 Cut You Down is the second novel about Vancouver PI Dave Wakeland. He's tasked with finding a missing college student who's mixed up in a school scandal, and who was last seen with a group of suburban gangsters. Adding to that, an ex-girlfriend, police officer Sonia Drego, asks Wakeland to check into the background of her partner, a troubled cop who's been acting strange. The book moves from a rapidly changing Vancouver, to the wilds of Washington State, to a suburban gangland where things aren't what they seem. I was struck by the outsized role played by the city of Vancouver (and its environs) in Invisible Dead. Setting is a crucial, and all-too-often underutilized, part of fiction. So many great writers have made effective use of setting, rendering it so vivid and affecting that it frequently acts almost like an additional character in their work. 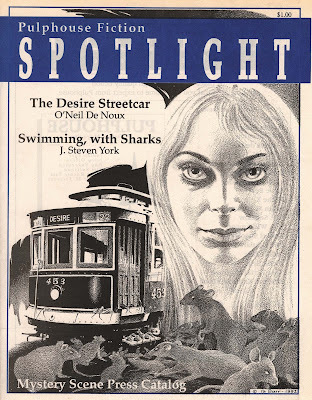 Thinking of Dickens' London, Saul Bellow's Chicago, Chandler's Los Angeles, Hammett's San Francisco, David Goodis with Philadelphia, and so on. I feel like you've done a great job of channeling Vancouver in much the same way. Was this a conscious choice on your part, or did it sneak up on you? It was conscious. A big part of that novel was the disconnect between how much I love Vancouver and how horrific some of the things that go on here are. I always liked the way Ian Rankin handled those sides of Edinburgh--the tourist side and the resident side, the rich side and the side for everybody else. Vancouver is heartbreaking in that way. Cut You Down builds on that disconnect even more, getting into gentrification and displacement, and the lengths people will go to maintain their standard of living. And Vancouver isn't the only changeable element to this series. Wakeland himself seems far from static:. How did Wakeland change for you this go-round? 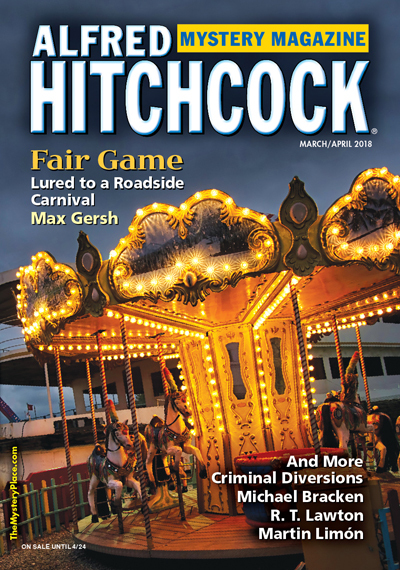 He’s forced to deal with more of his past—when his police officer ex-girlfriend asks for his help, it drags up both their relationship, and his brief career as a police officer. Trauma and violence and long buried secrets—he’s got his work cut out for him. Writing a follow-up to a successful first book is always challenging, in ways writing that first book (a challenge of its own) aren't. Can you walk us through some of these challenges specific to Cut You Down? Sure. Invisible Dead was a case where I knew the story early on, and the revisions honed that. It’s tighter and better than the first draft, but pretty much the same book. With Cut You Down, there were a lot of things I discovered during the revisions. It changed drastically, and that process enriched it. For example, the suburban gangsters The Hayes Brothers were introduced late, but I love the element of menace they inject, and the fact that they mirror both Wakeland’s and Tabitha’s stories, as young people trying to make sense of a world where the rules of their parents no longer seem to apply. They’re kind of broken versions of Dave—as he says, what he might have been like if he’d had a few more advantages in life. Music plays such a huge part in your writing. You're obviously a musician. And you're from a pretty musical family, too, right? I was a drummer--not sure if that counts as a musician or not! My dad was a studio and club guitarist around Vancouver, playing on the Irish Rovers television show and with the Fraser MacPherson Big Band. He still plays jazz gigs around town. You know the old joke about what the definition of a drummer is, right? “A guy who beats on stuff and hangs out with musicians”? I think my favourite is, "How can you tell a drummer is knocking on your door? The knocking speeds up." Reading your book called to mind the work of the great Irish writer Ken Bruen, who leavens his fiction with musical reference after musical reference, some relevant to the plot, some just shout outs to what the author considers great music. You do a fair amount of this as well. Did these references creep into your work or is this something you've consciously developed? It's a way to add a sonic element to description, and to give a snapshot of someone's character. I also like throwing in shoutouts to bands from the Pacfic Northwest--in Cut You Down, there are references to Mad Season's Above and NoMeansNo's Small Parts Isolated and Destroyed, among others. For those of our readers in the Puget Sound area, Sam will be appearing in our back yard in just a few weeks. 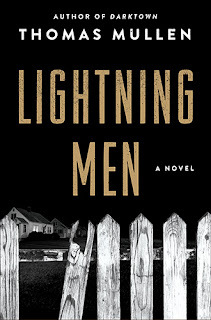 He's going to read from his new novel on Monday, March 12th, 7 P.M., at Third Place Books in Lake Forest Park You can get more details here). And that brings us to our last question: Will copies of your other books be available as well? Third Place will be selling books, and yes, they’ll be in stock! I have lots of friends on FaceBook, some of them I have known since childhood and some I wouldn't know if they bit me. That's the nature of FB. 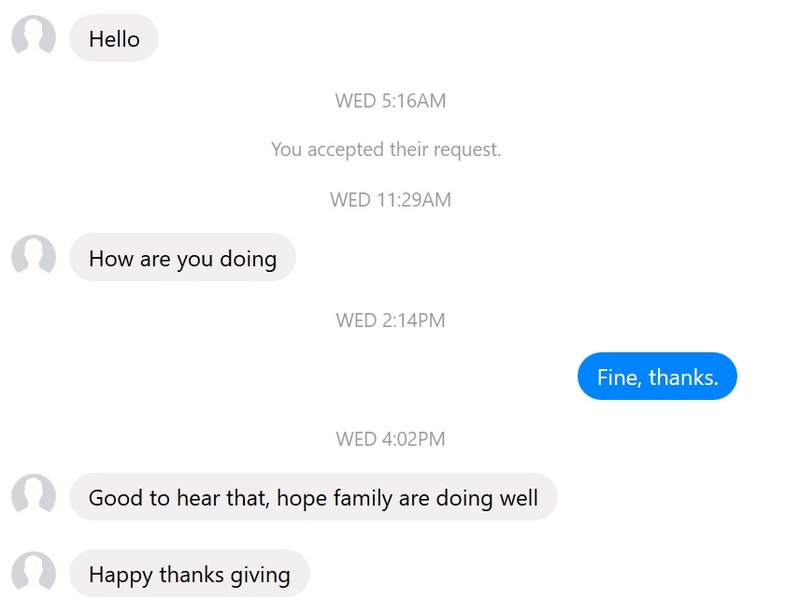 Not long ago one of that latter group contacted me on the FaceBook app called Messenger. 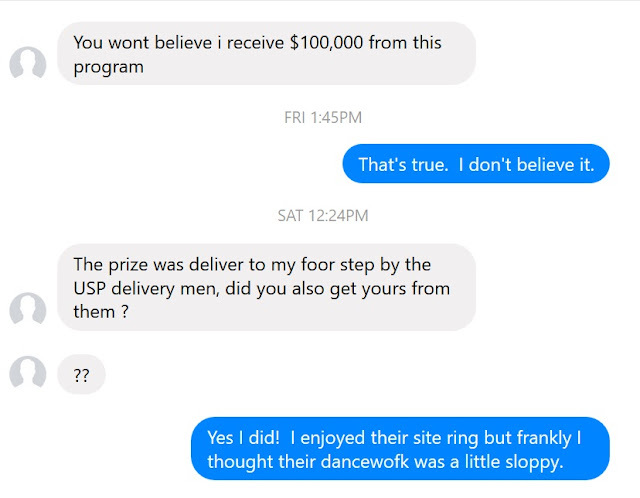 It became pretty clear that something shifty was going on and, checking out that friend's FB page I found a note saying "Ignore any messages from him. His account has been hacked." Well, by then I was too interested to ignore them. Alas, I didn't spot the typos here. (I was in a restaurant wating for lunch to arrive.) I meant to say "I enjoyed their singing but frankly their dancework..."
I contacted the sponsors and they said they left the names of some winners on the list at the request of the FBI. 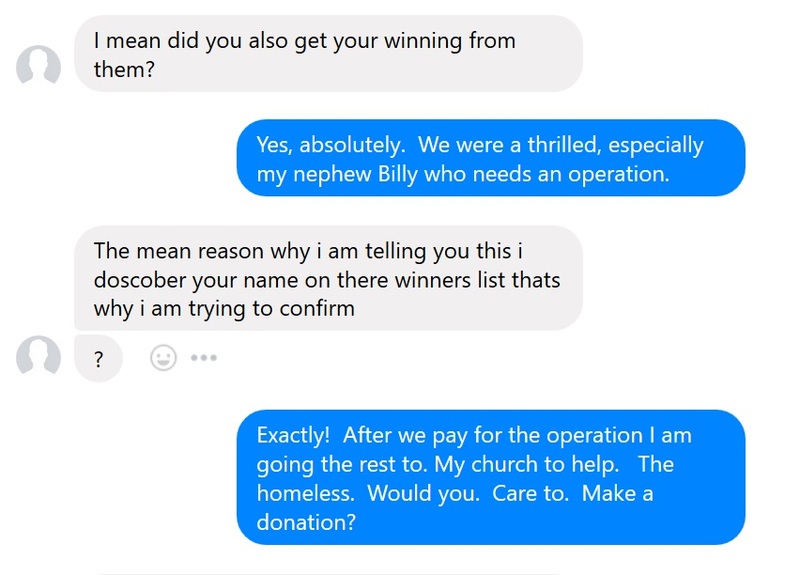 You see, it turns out some real scumbags are trying to rip off the winners. I hate people like that, don't you? How do they spend all day trying to rob people who never did them any harm and then use those same hands to caress their lovers or comfort their children? How do they talk to their mothers knowing how ashamed those mothers would be if they knew the truth about them? Please be careful, my friend. There is a lot of evil out there. By the way, a few days after this happened to me the same thing happened to Neil Steinberg, one of my favorite columnists. You can read about what he did here. Authors in the mystery community are generally known for being nice folks. Helpful, welcoming, even pleasant. But when it comes to their work, successful writers are mean. They have to be. 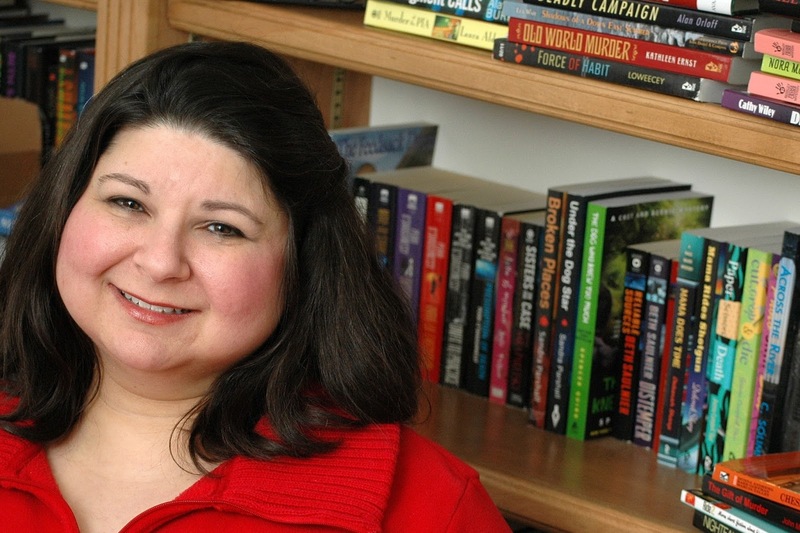 An author who likes her characters too much might be inclined to make things easy for them. The sleuth quickly finds the killer. She's never in any real danger. In fact, there's no murder at all in the story or book. Just an attempted murder, but the sleuth's best friend pulls through just fine. These scenarios may be all well and good in Happily Ever After Land. But in Crime Land, they result in a book without tension that's probably going to be way too short. That's why editors often tell mystery authors to make their characters suffer. Yet that can be easier said than done. If you're basing a character on someone you don't like, then you might have a grand time writing every punch, broken bone, and funeral. But not every character can be based on an enemy. And sometimes characters seem to plead from the page, "Don't do that to me." It's happened to me. I started writing a certain story a few weeks ago. I had a great first page, and then I got stuck. No matter how I tried to write the next several sentences, they didn't work right. I walked away from the computer. Sometimes I find a break can help a writing logjam. But not this time. In the end, I found I simply couldn't write the story I'd planned because, you see, that plan had included the death of a cat. And I just couldn't do it. 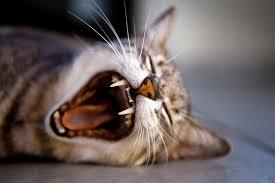 The publication I was aiming the story for would have been fine with a story that included a dead animal. But I wasn't fine with it. And I knew my regular readers wouldn't like it either. Sure animals die in real life, and sometimes they die in fiction too. But those deaths should be key to the story. The Yearling wouldn't work if the deer didn't die. And Old Yeller needed the dog to die too. I'm going to refer back to these very points if and when another story I've written involving animal jeopardy gets published. Sometimes that jeopardy is necessary for the story. And that's the key question: is it necessary? In the story I was writing about the cat it wasn't, and I knew it in my gut, even if I didn't know it in my head at first. That's why I couldn't bring myself to write the story as planned. Instead, with the help of a friend, I found another way to make the story work, one without any harm to animals. It's not the first time something like that has happened to me. About six years ago I wrote a story called "Suffer the Little Children" (published in my collection, Don't Get Mad, Get Even). This is the first story of mine involving a female sheriff name Ellen Wescott. She's smart and honest and way different than I'd planned. Originally she was supposed to be a corrupt man. But as I was thinking through the plot during my planning stage, I heard that male sheriff say in my head, "Don't make me do that. I don't want to do that." Spooky, right? While part of me immediately responded, "too bad,"--he had to suffer--another part of me knew that when characters talk back like that, it's because my subconscious knows what I'm planning isn't going to work. Either it won't work for the readers, as with the cat I couldn't kill. Or it won't work for the plot, as was the case with this sheriff story. So my corrupt male sheriff became an honorable female sheriff, and large parts of the plot changed. My female sheriff faced obstacles, but she was a good person. That was a compromise my gut could live with. Readers, I'd love to hear about stories and books you've enjoyed that involved a plot event you didn't love, yet you accepted it because you knew it was important to the story. And writers, I'd love to hear about times you couldn't bring yourself to write something. What was it? And why? In 1986, I read the first V I Warshawski private eye book, Indemnity Only. I also was writing a female P.I. 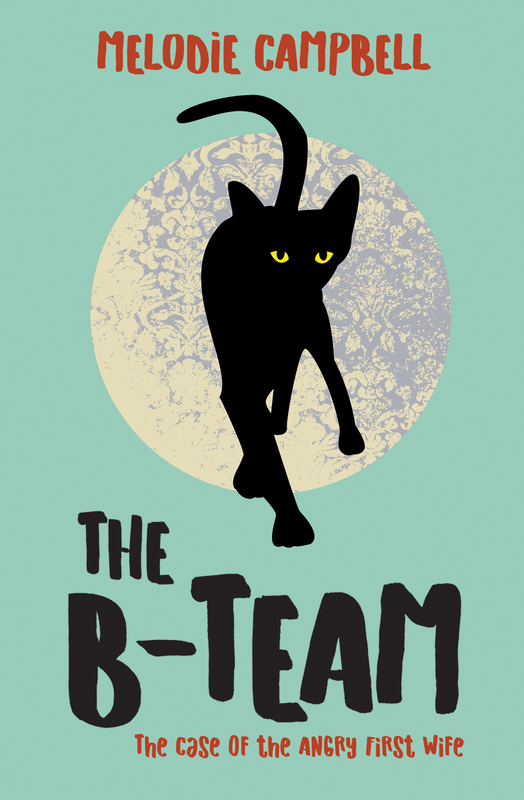 novel when I learned women mystery writers at Bouchercon were meeting and forming a group called Sisters In Crime. One major objective of SinC was to raise publishing and public awareness of women mystery writers. 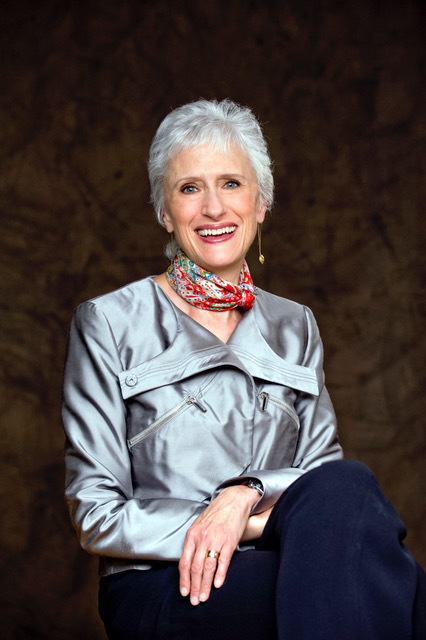 This organization was the brainchild of V I Warshawski’s author, Sara Paretsky. In 1988, I attended my first Edgars and Bouchercon. I quickly learned Sara was passionate about women writers getting a fair shake. In 1990, my husband and I opened a mystery bookstore in Austin. 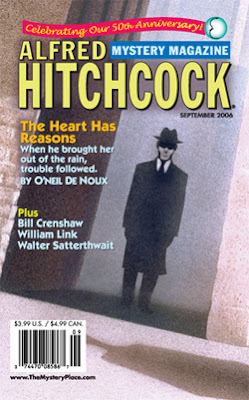 Three years later, we hosted a mystery convention, Southwest Mystery Con. A small group of Austin mystery women formed a chapter we named Heart of Texas Sisters in Crime. Through that, Sara and I became friends. I’m proud our H•O•T chapter of SinC still meets monthly. I’m proud that Sara still fights for women mystery writers. And I’m honored to introduce Sara as today’s guest writer. 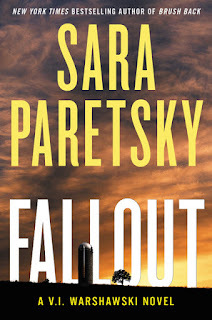 Sara Paretsky and her acclaimed P I, V I Warshawski, transformed the role of women in contemporary crime fiction, beginning with the publication of her first novel, Indemnity Only, in 1982. Sisters-in-Crime, the advocacy organization she founded in 1986, has helped a new generation of crime writers and fighters to thrive. Years ago, when I was in my twenties, I heard an interview with the composer Aaron Copland. The interviewer asked why it had been over a decade since Copland's last completed composition. I thought the question was insensitive but Copland's answer frightened me: "Songs stopped coming to me," he said. I wasn't a published writer at the time, but I was a lifelong writer of stories and poems. These were a private exploration of an interior landscape. My earliest memories include the stories that came to me when I was a small child. The thought that these might stop ("as if someone turned off a faucet," Copland also said) seems as terrifying to me today as it did all fifty years back. I write because stories come to me. I love language, I love playing with words and rewriting and reworking, trying to polish, trying to explore new narrative strategies, but I write stories, not words. Many times the stories I tell in my head aren't things I ever actually put onto a page. Instead, I'm rehearsing dramas that help me understand myself, why I act the way I do, whether it's even possible for me to do things differently. Where some people turn to abstract philosophy or religion to answer such questions, for me it's narrative, it's fiction, that helps sort out moral or personal issues. At night, I often tell myself a bedtime story- not a good activity for a chronic insomniac, by the way: the emotions become too intense for rest. When I was a child and an adolescent, the bedtime stories were versions of my wishes. They usually depicted safe and magical places. I was never a hero in my adventures; I was someone escaping into safety. As a young adult, I imagined myself as a published writer. For many years, the story I told myself was of becoming a writer. Over a period of eight years, that imagined scenario slowly made me strong enough to try to write for publication. After V I Warshawski came into my life, my private narratives changed again. I don't lie in bed thinking about V I; I'm imagining other kinds of drama, but these often form the subtext of the V I narratives. I'm always running three or four storylines: the private ones, and the ones I'm trying to turn into novels. I need both kinds going side by side to keep me writing. Storylines are suggested by many things- people I meet, books I'm reading, news stories I'm following- but the stories themselves come from a place whose location I don't really know. I imagine it as an aquifer, some inky underground reservoir that feeds writers and painters and musicians and anyone else doing creative work. It's a lake so deep that no one who drinks from it, not even Shakespeare, not Mozart or Archimedes, ever gets to the bottom. There have been times when, in Copland's phrase, the faucet's been turned off; my entry to the aquifer has been shut down. No stories arrive and I panic, wondering if this is it, the last story I'll ever get, as Copland found himself with the last song. If that ever happens permanently, I don't know what I'll do. So far, each time, the spigot has miraculously been turned on again; the stories come back, I start writing once more. Each time it happens, though, I return to work with an awareness that I've been given a gift that can vanish like a lake in a drought. Americans own more firearms than all nations’ armies combined. The US is ranked 1st in crime rates among nations. The US is 14th among the most dangerous nations in the world. America locks up more of its own citizens than any other nation. America experiences nearly one multiple/mass shooting per day. Americans kill a thousand of their own countrymen every month. Gun owners commit suicide at the rate of two thousand a month. NRA claims $1-million per day from its 5-million members. The NRA-owned Congress says it’s not time to discuss it… ever. Offhand, I can't think of many words that have more different meanings than "draft" does. Drafts can refer to breezes, horses, beer, checks, athletics, military service, depth of water, and--yes--preliminary versions of a piece of writing. In other words, you can feel them, harness them, drink them, sign them, get caught by them . . . or write them. I write a lot of drafts. Mine are usually short, since I write mostly short stories, and the first is often longer than the second, the second longer than the third, and so forth. (I tend to overwrite a bit.) I should mention, too, that my first draft is usually terrible. That doesn't bother me--nobody but me is going to see it anyway--and I think it's better to get as much as possible down on paper than to leave something important out. I also like to write a first draft all the way through, without stopping to do a lot of analysis on the way. I've never been one of those people who "edit as they go." I don't even pay much attention to punctuation or spelling or grammar in those first drafts. They truly are rough. A writer friend of mine insists that she doesn't have to deal with drafts--and not because she keeps the windows closed. She just makes every page as perfect as it can possibly be before going on to the next. Her reason for doing that is simple, she says: when she's written the final page of her book or story, she's finished; no corrections or subsequent drafts are needed. The reason I don't do that is simple, too: I might later decide to change something in the plot, or add another character, or take one out, or change the POV. If that happens, and if I've already tried to polish the first scenes and pages to a high gloss, that means I'll have to go back and re-edit what I've already edited. I'm not super-efficient and I'm sure not smart, but I'm smart enough not to want to do the same job twice. Besides, getting the whole thing down on paper, start to finish, gives me a warm and comfortable feeling about the project. It makes it something I know I can handle. Anne Lamott said, in her book Bird by Bird, ". . . The first draft is the down draft--you just get it down. The second draft is the up draft--you fix it up. You try to say what you have to say more accurately. And the third draft is the dental draft, where you check every tooth, to see if it's loose or cramped or decayed or even, God help us, healthy." She also said, "Almost all good writing begins with terrible first efforts." Readers have often asked me how many drafts I write, of a short story, The answer is, it varies. It also depends on how you define "draft." If you go through a work-in-progress and change only one sentence, is that new version another draft? As for me, I don't usually do many extensive re-writes, but I do go back through the manuscript a few times after a third- or fourth-draft polishing and see if there's anything more that needs correcting or fine-tuning. But, as all writers know, you don't want to go over it too much. When you can read through what you've done several times and not find anything glaring, you're probably finished. If you persist too long, you'll get to the point where changes might make things worse instead of better. How about you? Are you a draft-dodger, and just edit everything as you go? Or do you rehearse and shoot several takes before you print the film? If so, how many drafts does that usually involve? How do you decide how many drafts is too many? How detailed is your first draft? Do you ever outline beforehand, either mentally or on paper? Do you ever write the ending first? I once heard that a novelist has to be a good storyteller and a short-story writer has to be a good craftsman. Maybe both have to be good draftsmen. Now, I wonder if I need to do more editing on this column . . . The Blank Page: Anxiety or Opportunity? "I said, 'He said,'" she said.